Tevo et Zizuke ont fini leurs études universitaires en sciences sociales. Zizuke travaille comme serveur dans un bar tandis que Tevo poursuit son rêve de devenir photographe. Dans le bar Zizuke, Tevo rencontre Elizabeth une touriste américaine. Ensemble, ils montent une manigance et se lancent dans un projet. After being given a camera by Martha (Diane Vuletich), his new muzungu girlfriend, Tevo starts to look for ways he can make money from his work. And a chance meeting with Elizabeth (Poppy Spowage), a tourist who has come to see Gorillas in Uganda, provides him with just the answer. Tevo’s photography swiftly becomes a pictorial N.G.O project that supports women and girls education in Masese a slum in Jinja. The plan works and the funding comes through – giving them the care-free party lifestyle and fancy clothes they’d been craving. They quickly forget about the people of the Masese slum. 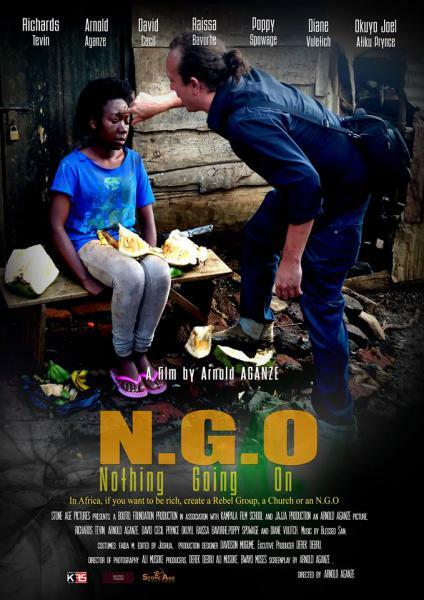 The story soon turns around when they find out that Anthony (David Cecil), a filmmaker/minister, is being sent to Uganda on behalf of their American donors to document the impact of the NGO on the lives of women and children of the Masese slum. Despite their best efforts to construct’stories of change’ and cover up their lies, they soon realize Anthony is just like them.